The re-creation of the march of the First 500 members of the Newfoundland Regiment to the S.S. Florizel yesterday was great to behold. The Royal Newfoundland Regiment Band led, followed by the First and Second Battalions, the Church Lads' Brigade band, the RNC Honour Guard and mounted unit, Royal Canadian Legion, the Signal Hill Tattoo and the Boy Scouts. Lots of colors as we remembered the proud contribution of than nation to the European War to end wars. The participants marched the actual route, taken by the original recruits, from Caribou Park, Pleasantville to the St. John’s harbour front. The event was part of the Government of Newfoundland and Labrador – Honour 100 commemoration. The Florizel was party owned and operated by the Bowring Brothers. 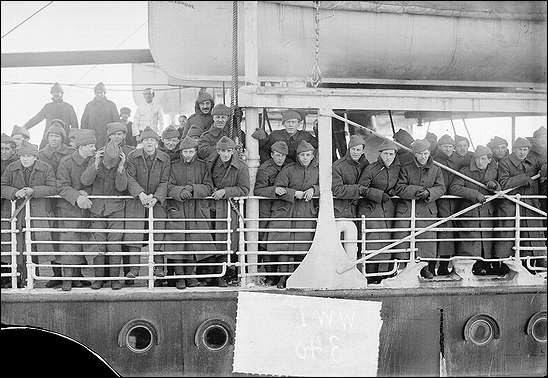 The luxury passenger liner was used as a troop transport ship to get the first 540 volunteers across the Atlantic to Europe in October of 1914. The ship was converted each Spring for participation in the annual seal hunt. She ran aground in stormy seas near Cappahayden on Sunday, February 24, 1918. Only 17 passengers and 27 crewmembers survived. 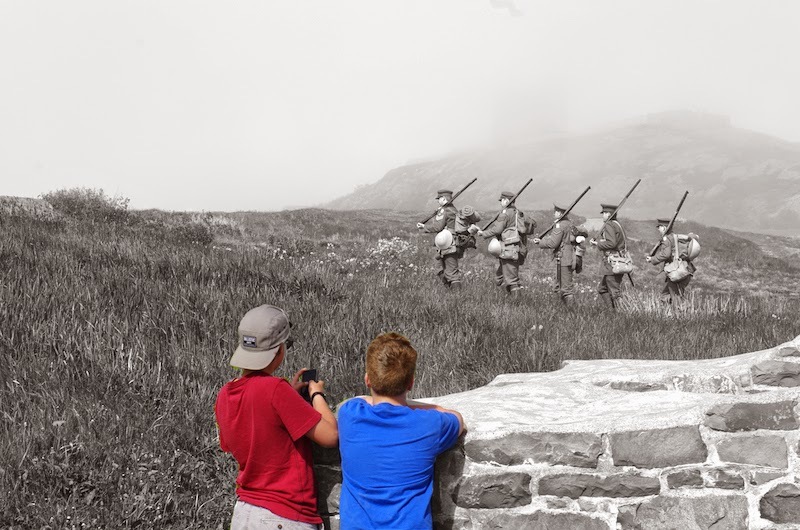 Earlier in the summer, I took a few pictures of the reenactment of the Royal Newfoundland Regiment drilling on Signal Hill. I thought I might share them with you.